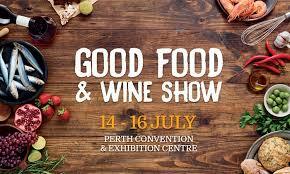 Celebrate the best in food and wine Australia has to offer at the Good Food & Wine Show to be held at Perth Convention Centre 14 - 16 July 2017. Visit Raw Vine Estate at stand #U15 and try our great tasting organic preservative free wine. We will have some amazing show only specials.